Student Leadership Network volunteer programs offer diverse and meaningful opportunities for individuals and companies to engage with our students and contribute to their success. We are always looking for inspiring volunteers to donate their time and help impact our students’ futures. Click here to sign up for one of our volunteer events listed below. If you cannot attend one of our volunteer events listed below but would like to be added to our volunteer list, click here to be notified about future opportunities. To learn more about volunteering with us, please email volunteers@studentleadershipnetwork.org. Cool Women, Hot Jobs (CWHJ) is a program in a series of signature career-day events at The Young Women’s Leadership Schools that seeks to expose sixth, seventh, and eighth grade students to professionals in various careers. We believe that if you can see it, you can be it. Volunteers visit the schools to speak with students about their college and career paths, and to share lessons for success. Volunteers are able to engage directly with students in small groups during two morning periods at the beginning of the school day. In turn, students have the opportunity to ask questions and learn from volunteers. Jumpstart to College is a signature event at The Young Women’s Leadership Schools that seeks to engage our TYWLS seniors in conversations related to the transition to college. This event brings professional volunteers, educators, and students together to share wisdom and advice and teach practical skills that relate to career and college readiness. To learn more about TYWLS Works, please contact Eunice Liriano, Director of Strategic Partnerships and Events. 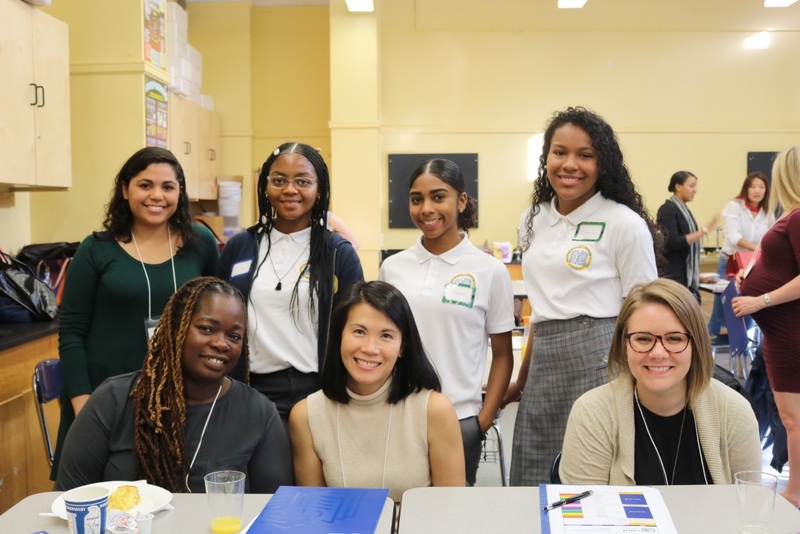 TYWLS Works is a signature program at The Young Women’s Leadership Schools that engages our 10th grade students via hands on experiences in professional worksites throughout New York City. One hundred students across all 5 TYWLS locations will visit 10 partner companies, in small groups, for a day of interactive learning. We collaborate with company representatives to plan a day that is fun and rewarding for employee volunteers and students alike.